The £36million left-winger (Felipe Anderson) bullied the free central midfielder playing at right-back (James Milner). The £75m pairing (Virgil van Dijk and Joel Matip) neutralised the £16m forward (Javier Hernandez). The £32m partnership (Issa Diop and Angelo Ogbonna) nullified the £29m striker (Roberto Firmino). The equaliser even came courtesy of a £7m winger (Michail Antonio) capitalising on an £8m left-back’s (Andy Robertson) mistake. Liverpool’s draw with West Ham was unpredictably predictable. Football is not Formula One; the most expensive car does not always win. But the more money that is spent on each requisite part – goalkeeper, defence, midfield, attack – should theoretically leave less to chance. It is rarely so simple – just ask Everton – but Monday offered proof. What was ostensibly a surprising result actually followed the rather more linear path of two teams benefiting from or suffering due to an influx or lack of investment in certain areas. West Ham’s most expensive forward fared well against Liverpool’s cheapest defender, while Liverpool’s most expensive defender thwarted West Ham’s far cheaper forward. But once again for Jurgen Klopp, things fell apart in the middle. A central midfield trio that cost Liverpool over £120m to assemble was exposed and exploited by a quite literally priceless West Ham pair. 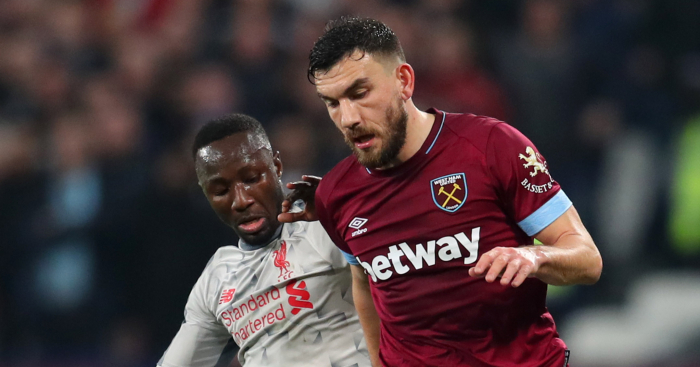 Declan Rice and Mark Noble cost West Ham nothing more than the paper their respective development contracts were printed on, but they both stood firm in the face of Fabinho, Naby Keita and Adam Lallana at the London Stadium. They combined the “experience and youth” Klopp referenced before the game to great effect. They were the least expensive but most valuable players on the pitch: the complete antithesis of their midfield opponents. Where Rice foiled, Fabinho toiled; the former made eight tackles to the latter’s two. And where Noble influenced, Keita continues to look inhibited by either valuation or expectation. 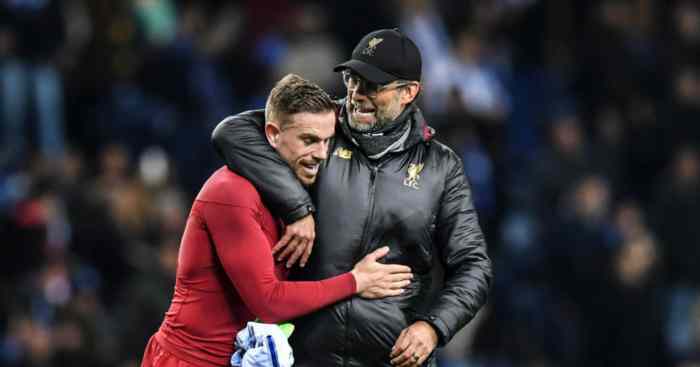 “If you asked me what his greatest strength was, I couldn’t say it really,” said Klopp of the former RB Leipzig star last August, and that has long been apparent. The 23-year-old has played as an advanced midfielder in a 4-3-3, in a defensive-midfield pair in a 4-4-2, and as either one of the double pivots or the left-sided midfielder in a 4-2-3-1. For a player who “adapts constantly and brings himself to the next level”, it is a cause for concern that none of those roles have even vaguely suited him. Fabinho has at least shown signs that he can become the “tactically very strong and football smart” player Klopp hoped he could, the Brazilian’s versatility proving a crucial asset. But he was the defensive-minded midfielder added to solidify a defensive-minded midfield, the extra stabilisers added to the bicycle when what Liverpool really needed was a motorbike. Mohamed Salah has created the most chances in open play for the Reds in the Premier League this season (41). Next is Andrew Robertson (26), followed by Firmino and Sadio Mane (both 25). Beyond that sharp front three and a usually phenomenal left-back, Liverpool are blunt in attack. James Milner is next, meaning Liverpool’s most creative central midfielder has provided 12 chances in open play, ranking joint-100th in the Premier League. A list of those to have made more includes Jean Micheal Seri (28), N’Golo Kante (27), Abdoulaye Doucoure (23), Tom Cairney (22), Ashley Westwood (19), Victor Camarasa (18), James McArthur (18), Jorginho (15), Philip Billing (14), Johann Berg Gudmundsson (13) and Moussa Sissoko (13). Put another way, Liverpool’s most creative central midfielder has provided the same number of chances from open play this season as Cardiff centre-half Sean Morrison. Klopp, however, has remained steadfast in his insistence that supplying his supreme marksmen with firepower is no issue – even with Liverpool failing to score more than one goal in five of their last six games. Ten weeks and 14 games have passed since Klopp’s midfield mask truly slipped. 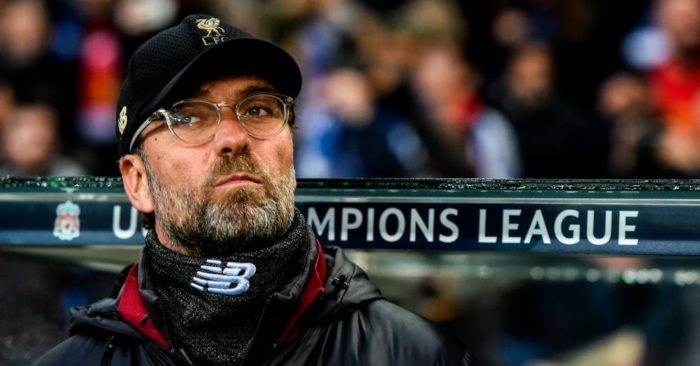 “I don’t see any problems,” insisted the German after a 2-1 defeat to PSG in November, in which Georginio Wijnaldum, Jordan Henderson and Milner had a combined two shots, three key passes – all from Milner – and zero dribbles. Marco Verratti and central defender Marquinhos have rarely enjoyed such quiet evenings. “It is not the case, it is not the case,” he said when asked whether the midfield was Liverpool’s weak link. “Bringing in one player would change everything? That is bullsh*t and you all know that,” he added; Alex Oxlade-Chamberlain would beg to differ. 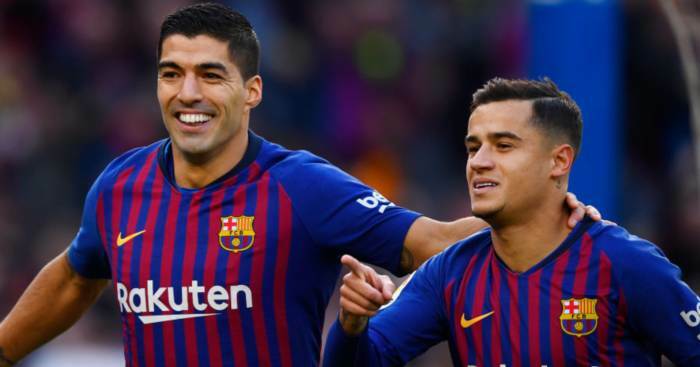 The German clearly noted enough of a problem in the Champions League finalists’ squad to bring in two players at great expense just five months earlier. Fabinho and Keita were supposed to be the final pieces of the jigsaw at a combined £96.45m, but the midfield remains a puzzle that Klopp cannot quite solve. Having rectified the lack of a reliable goalscorer by signing Salah for a club-record fee, before correcting a problematic defence by buying the most expensive goalkeeper and centre-half ever in successive transfer windows, the German faces an altogether new problem: fixing an issue that has already cost him an awful lot of money.